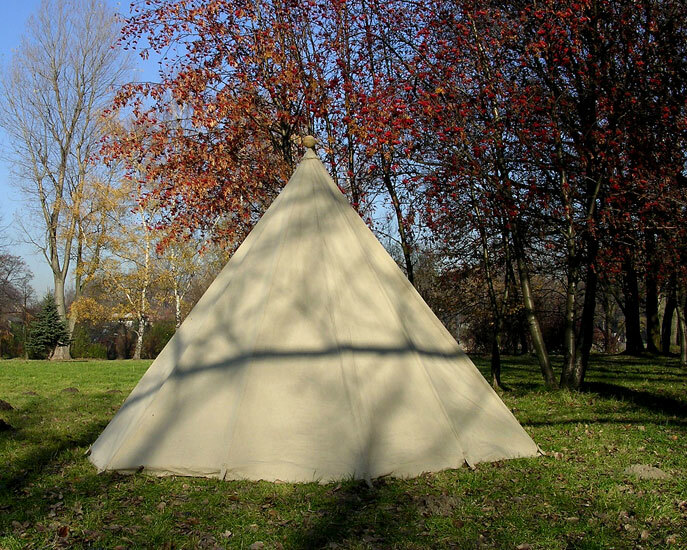 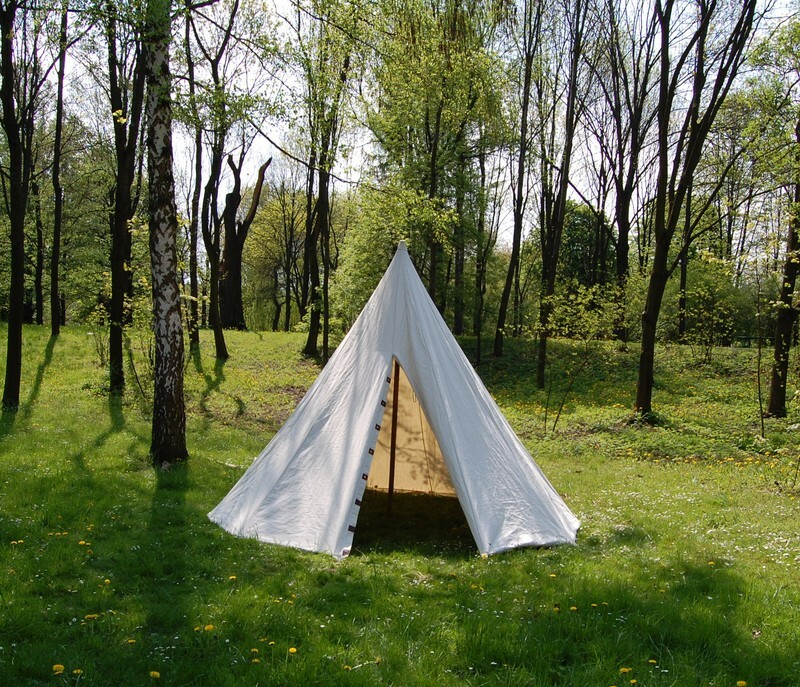 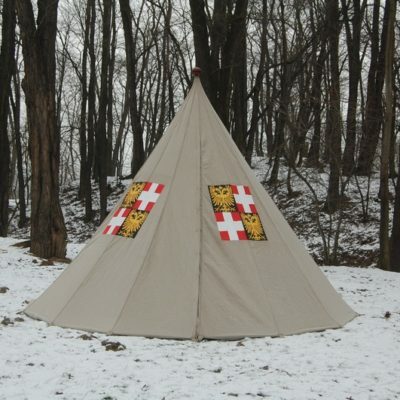 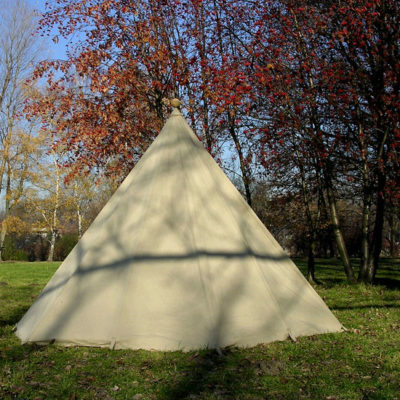 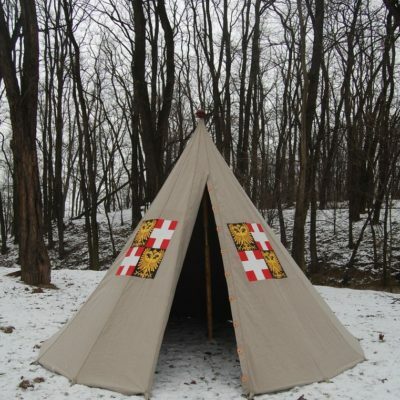 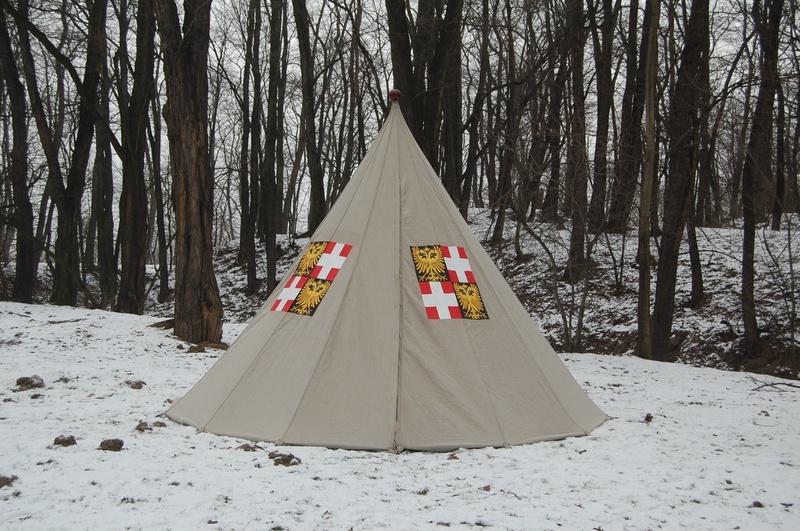 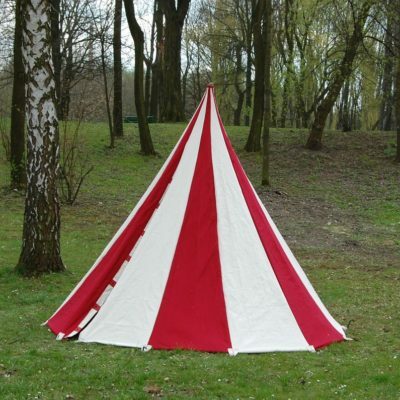 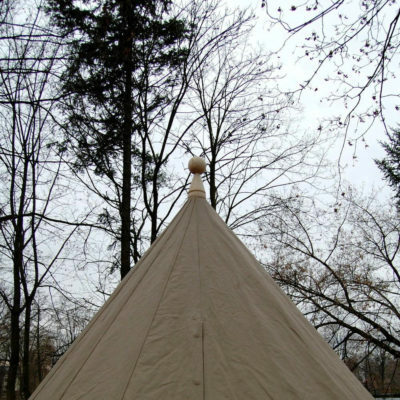 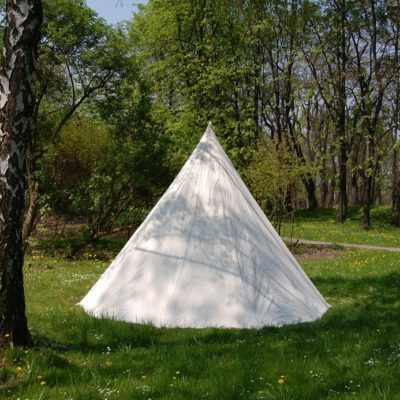 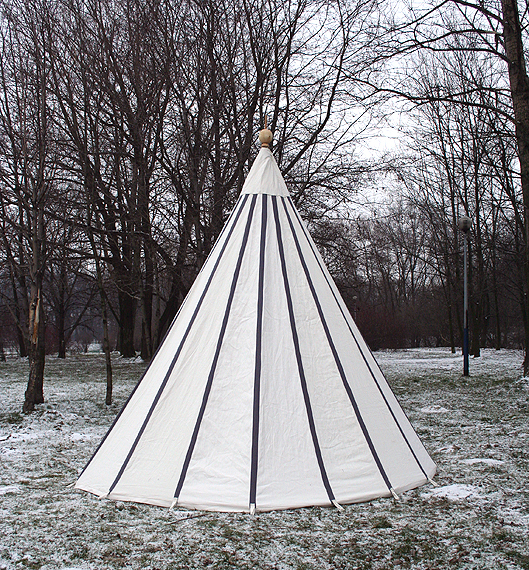 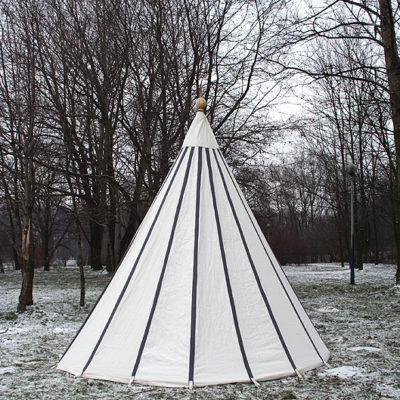 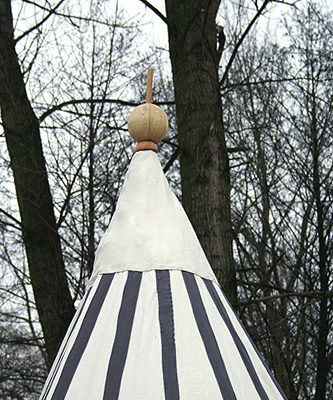 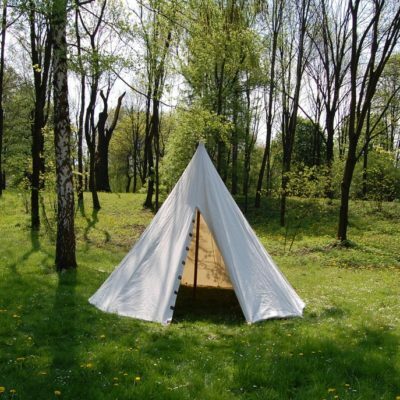 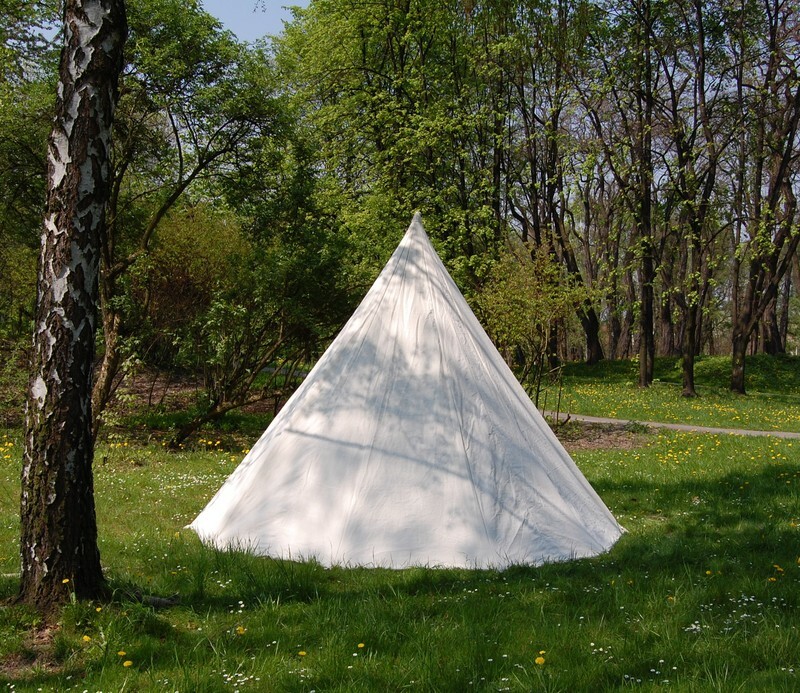 The characteristic feature of this historical tent is its middle-sized dimensions and a single pole. Therefore the tent can be easily pitched by one person in a short time. 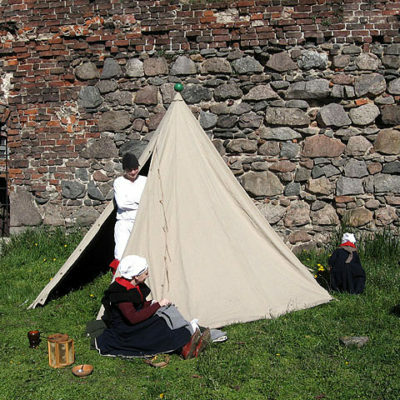 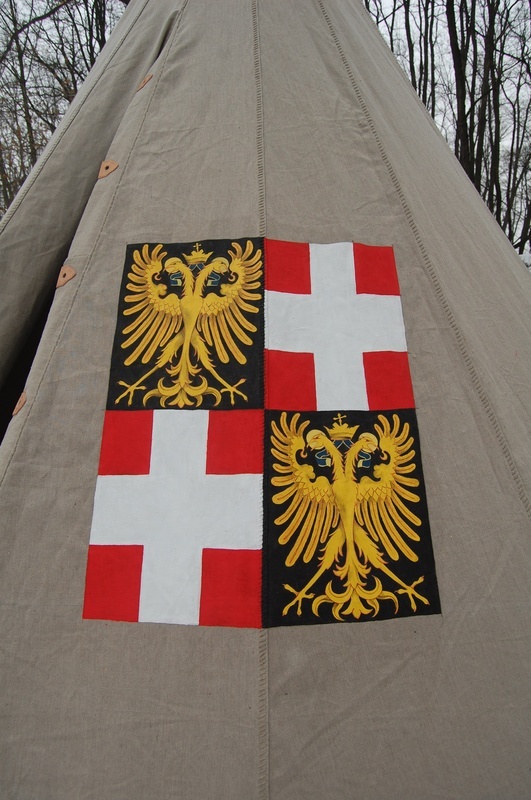 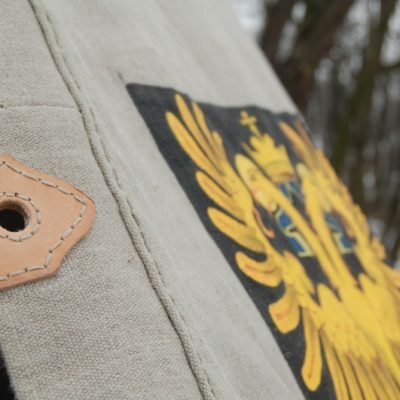 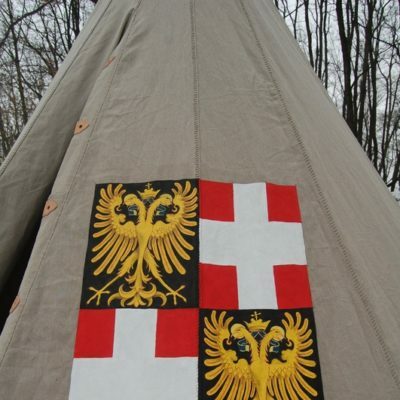 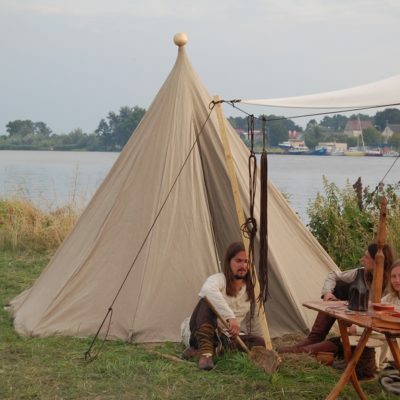 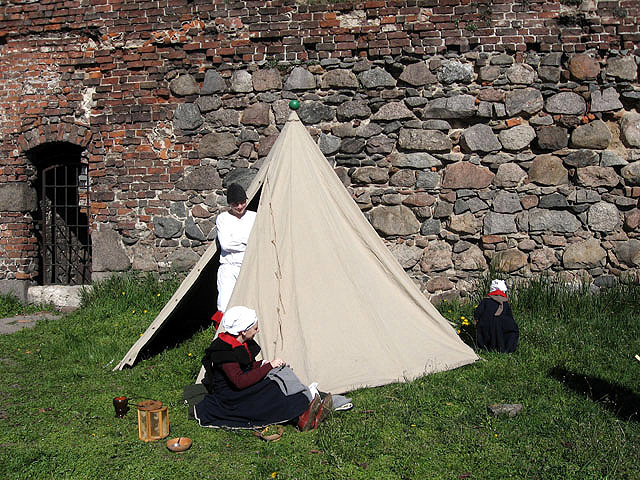 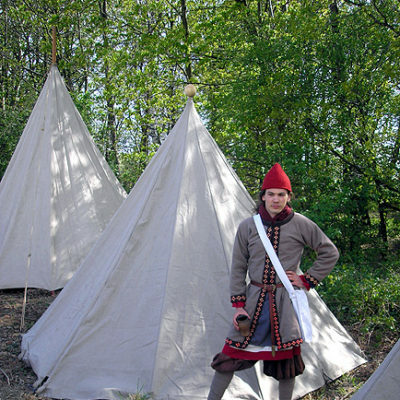 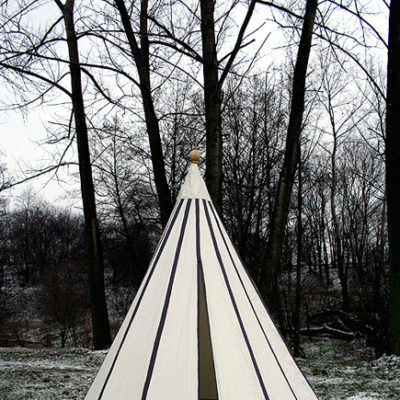 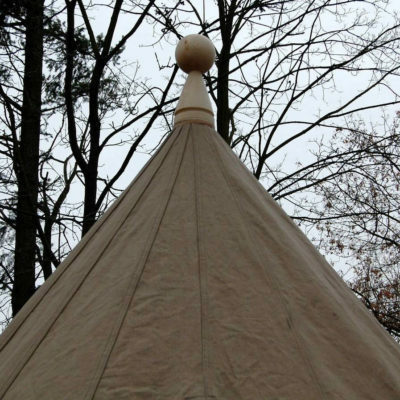 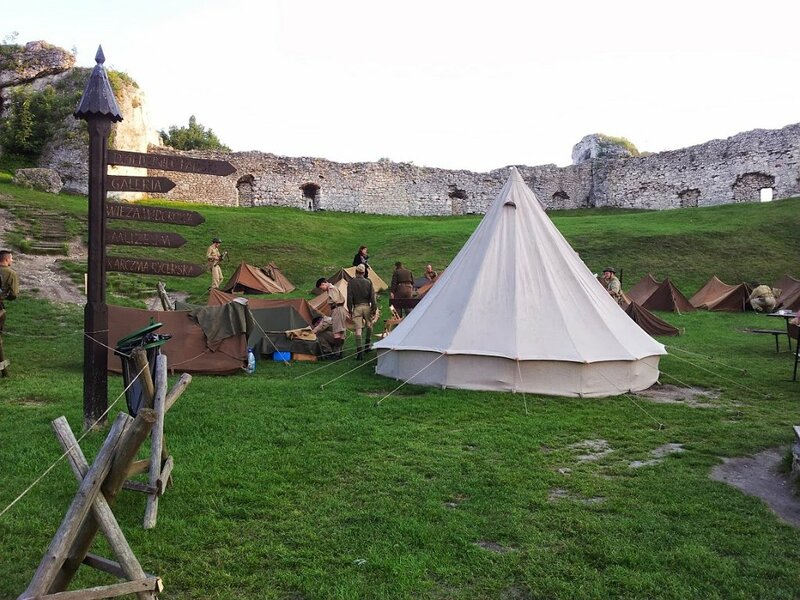 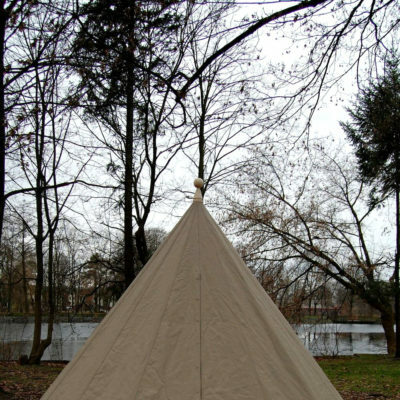 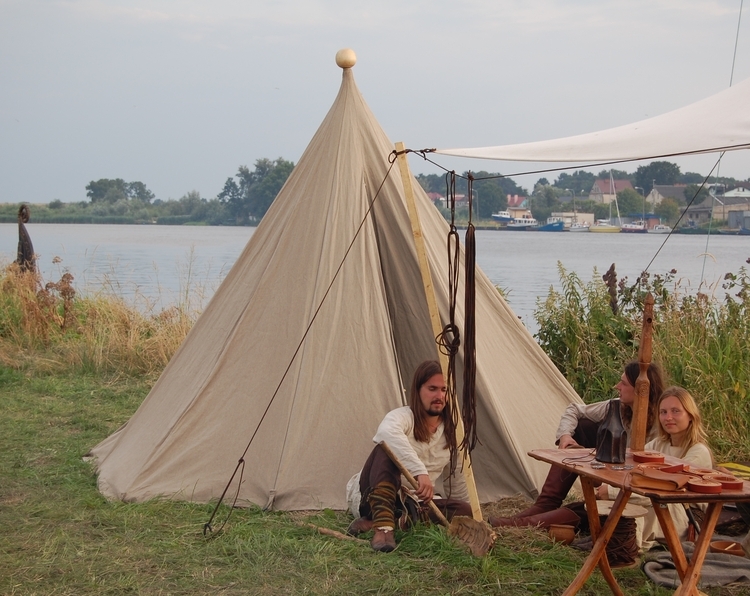 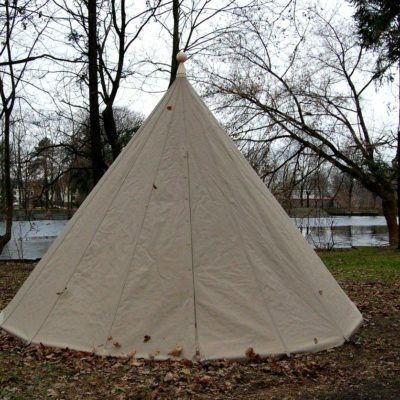 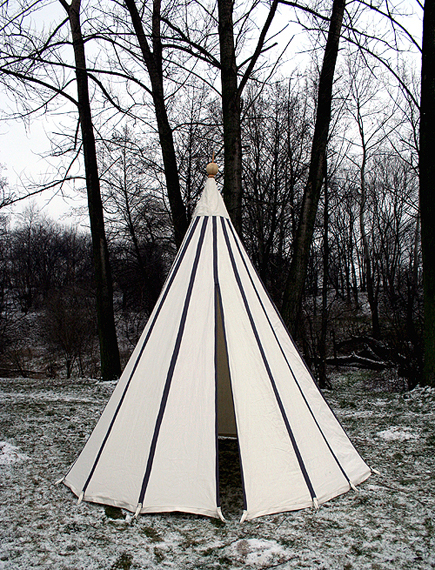 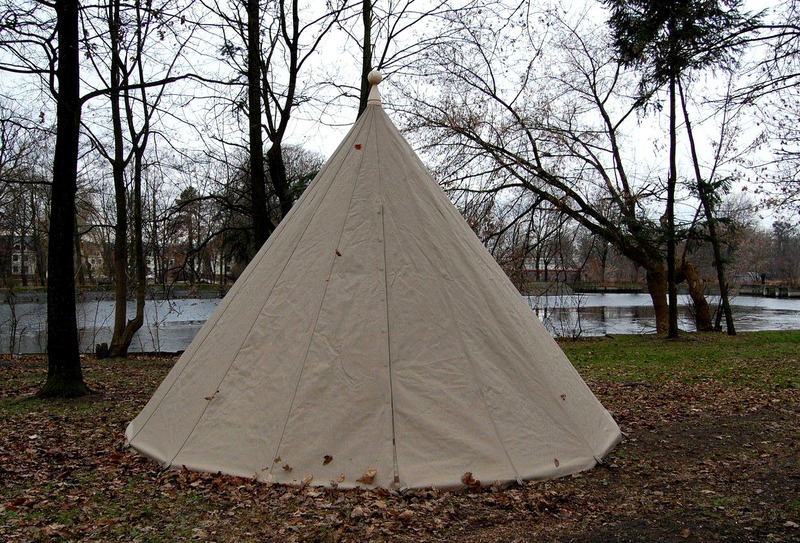 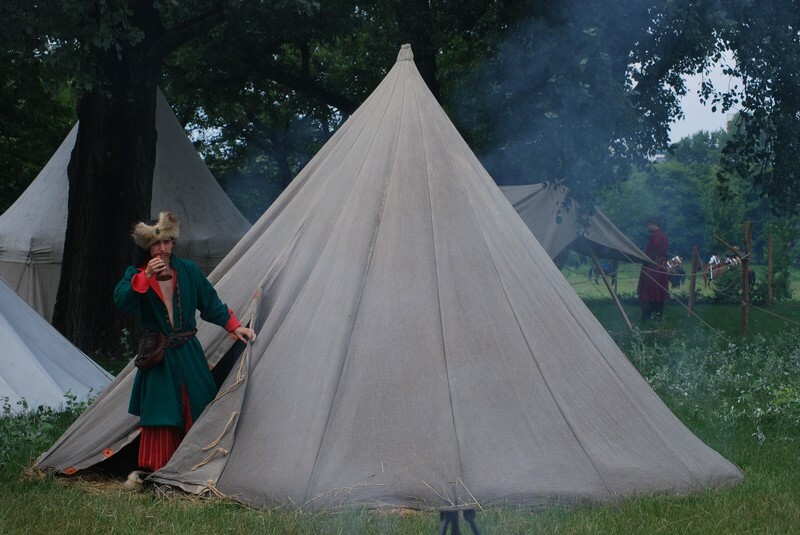 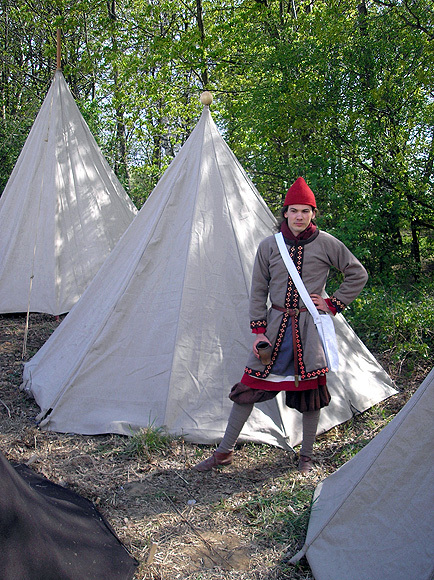 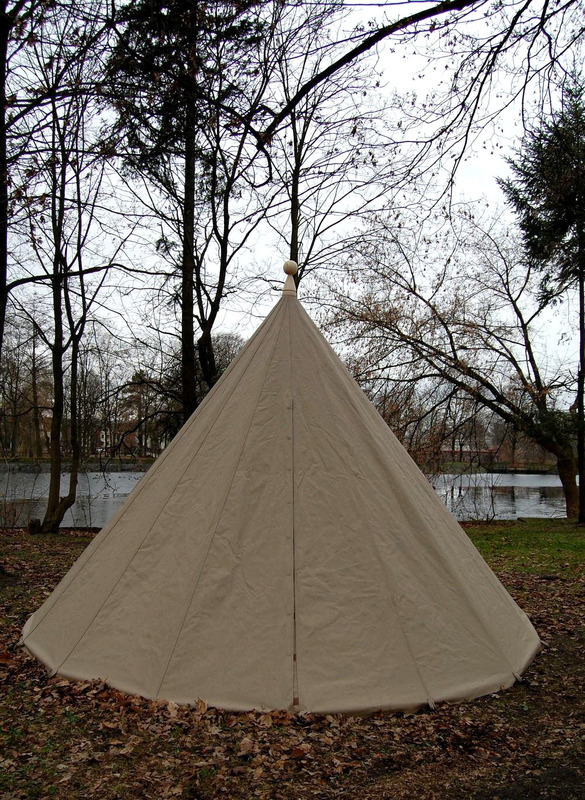 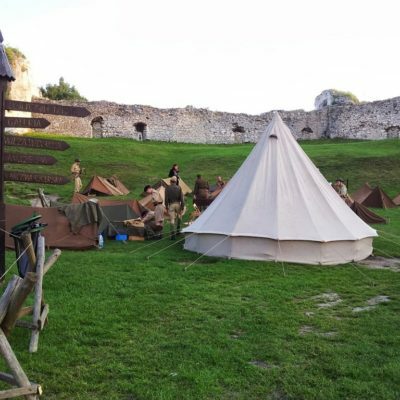 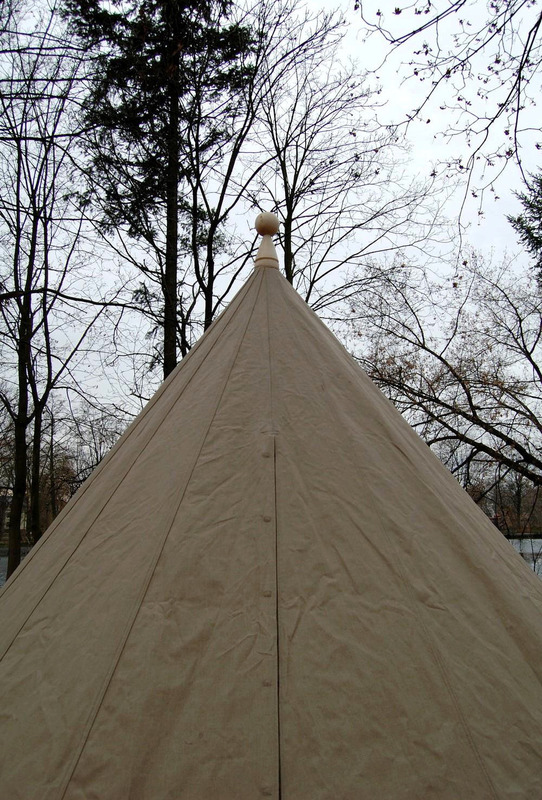 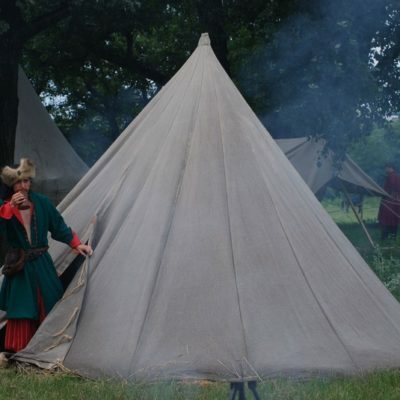 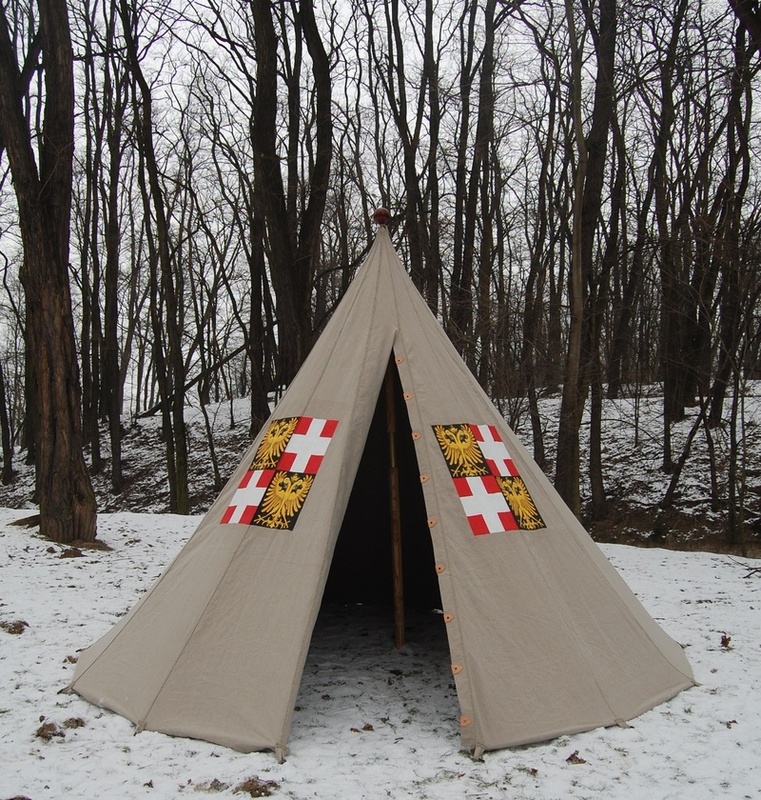 This historical tent is hand made of unbleached linen and impregnated linen thread. 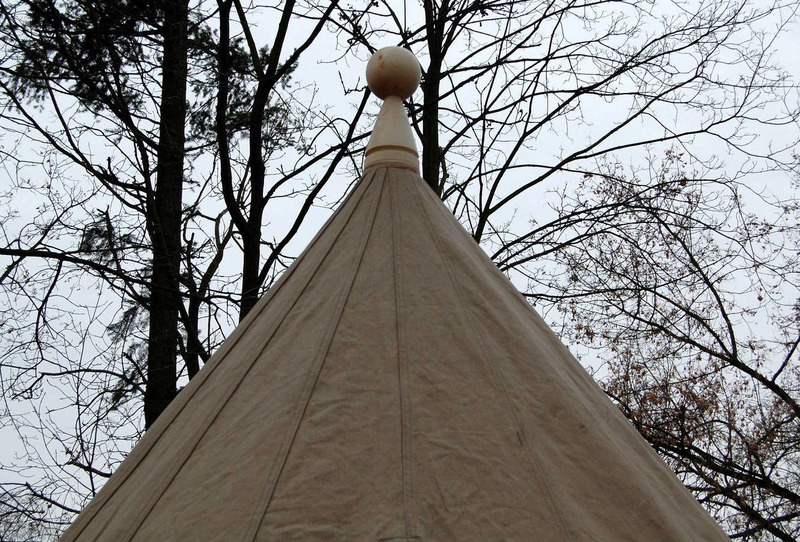 Top finished with wooden ball. 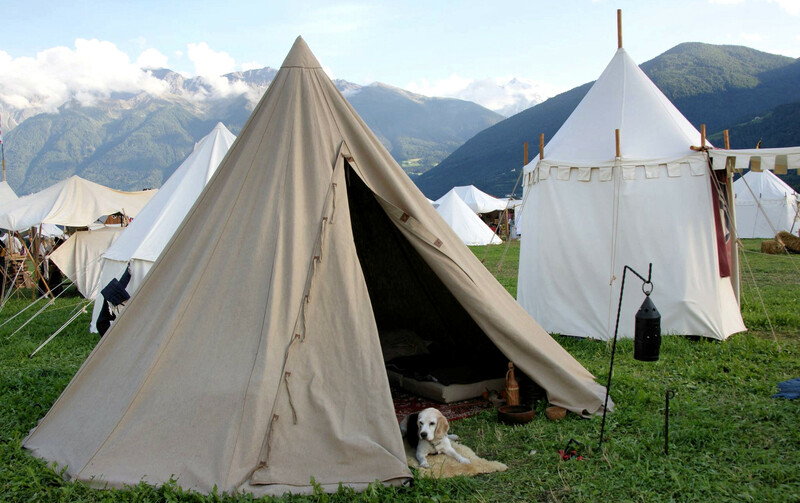 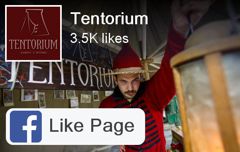 This historical tent is for 2-4 people. 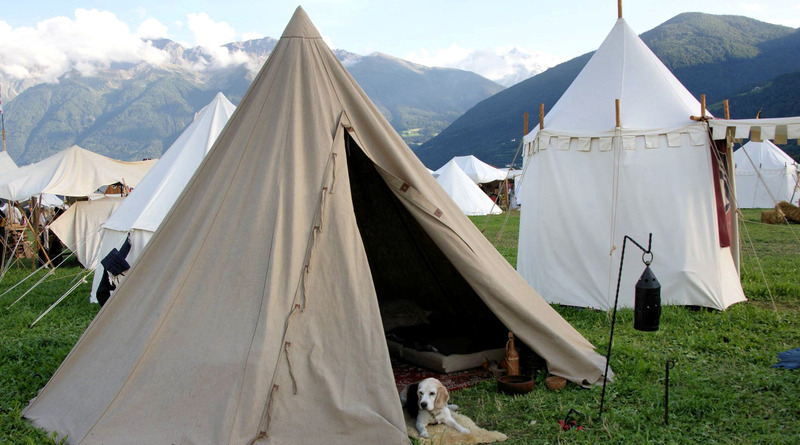 This historical tent is mechanically made of whitewashed linen. 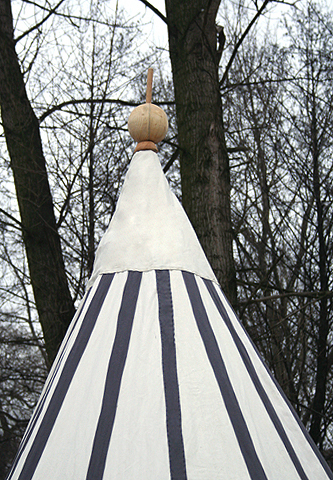 This historical tent is mechanically made of whitewashed linen and decorated with linen stripes. 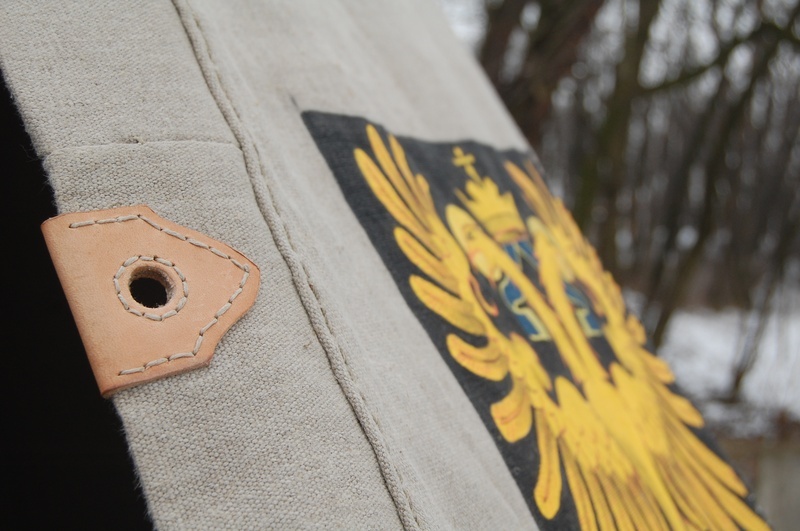 Top edged with extra linen layer and finished with wooden ball. 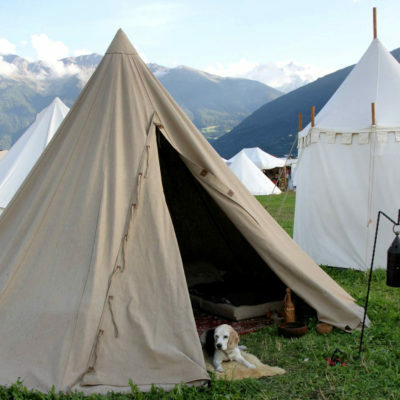 This historical tent is for 6-8 people.